There isn't a huge choice of accommodation on the Isles of Scilly but with their wonderful colourings, lush tropical plants, peerless beaches and uninhabited islands, the Scillies have a timeless appeal. 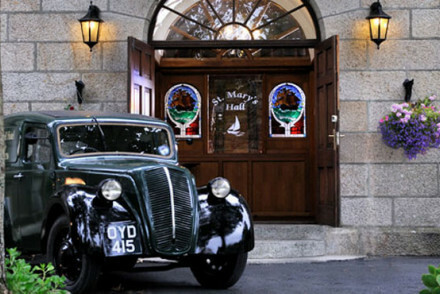 This is matched by the best places to stay in the Isles of Scilly - you'll find traditional atmosphere, great food and a real feel of bygone eras. Officially part of Cornwall, but with their own clear identity, life on the islands is calm and happy: doors are left unlocked, the police have little to do and everyone knows everyone. You may prefer to stay on upmarket, privately owned Tresco and Bryher, or on St Mary's, the islands' hub with the main town and harbour of St Hugh's. To keep you occupied there are boat trips to see seals and puffins, or simply to take you to deserted beaches, the famous gardens at Tresco, traditional gig racing at Hugh Town, plus plenty of fine walking and cycling. As for hotels, there aren't many and all the best places to stay in the Isles of Scilly are expensive compared to the mainland due to the high cost of operating them. Bryher, Tresco and St Martins each have a hotel, as well as a pub with rooms on Tresco. There are a greater number of hotels on St Mary's, of which the two included in our list below stand out. Take a boat trip to spot puffins and seals. Unwind on picturesque deserted beaches. Walk or bike through the rugged landscape. Stroll through the beautifully manicured gardens at Tresco. With a limited amount of accommodation on the islands, to be sure of securing one of the best places to stay in the Isles of Scilly be sure to plan and book well ahead. 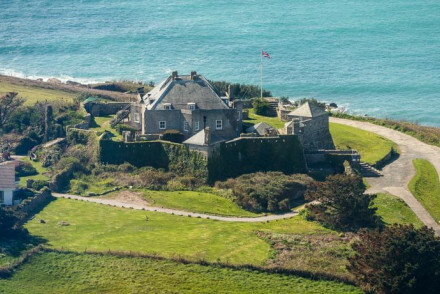 The Star Castle Hotel on St Mary's might be one of the most unusual places you have ever stayed being a 16th Century star-shaped castle surrounded by a sturdy star-shaped castle wall. The bedrooms are comfortable and popular with walkers and retired couples and there are two restaurants. The owner is a keen lobster fisherman and his catches often appear on the restaurant menus. St Mary's Hall Hotel in Hugh Town is a 19th Century Mansion house converted into a comfortable hotel with a relaxed atmosphere. Probably the most modern of our three hotel choices is the Hell Bay Hotel on Bryher. It is also the last hotel in England. It isn't easy to get to but once there you are rewarded with beaches, an uninterrupted view of the Atlantic ocean and much much better food than is usually available somewhere this remote. Fixed wing planes operated by Skybus fly from Land's End, Newquay and Exeter to St. Mary's Airport. Alternatively a passenger ferry runs from Penzance to Hugh Town on St Mary's and the crossing takes about 2 hours and 40 minutes. The Isles of Scilly have a temperate Oceanic climate, amongst the mildest and warmest climates in the United Kingdom. However it is still the UK so for the best chance of warm days travel in the summer months (June - August). Browse through our list of the best places to stay in the Isles of Scilly. Alternatively widen the search and check out all our recommendations for the Channel Islands. Or call or email a friendly guru for advice. Delightful family-run hotel set in a star-shaped castle on St Marys Island. The newly refurbished rooms are extremely comfortable and well decorated, with quaint details. Fresh, local, seasonal produce sets the tone for the on site restaurant. Totally charming! Views - Some of the best views on the island. 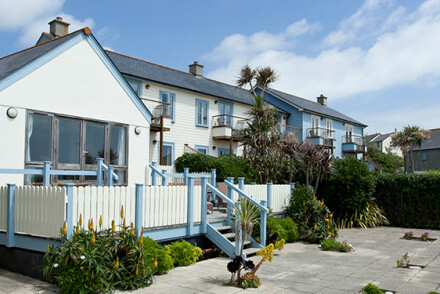 An elegant and contemporary Hugh Town hotel, just minutes from the harbour. Stylish and comfortable rooms with spectacular views and chic interiors. Enjoy fine dining in the revamped restaurant bar or alfresco on the front lawn. A fantastic find. Total relaxation - Rejuvenate the mind and body with scenic strolls, deep soaking tubs, in-room massages and restorative food. Country Escape - Both by land and sea there are few other spots with more unspoilt scenery than this. Sights nearby - Just beside St Mary's Church, well worth a visit for its lovely stain glass windows. Great walks - Great walks to be had all around, ask the owners for their favourite trodden paths. A stylish hotel on the remote Bryher Island. Homely suites follow a beach chic theme, think blues, whites and seashells. Most have patios with magnificent sea views. The on site restaurant produces a delicious range of dishes from seasonal locally sourced produce. A grown up beach hideaway. Beach Life - This island has everything to offer from fishing, to sailing, beach combing and birdwatching. Great walks - Take a walk on the beach or up Badplace Hill for unforgettable views of Hell Bay and Shipman Head. Sailing - Sailing courses are available on nearby Tresco Island.